The number of historical monuments in Berlin is astounding. In Mitte you will find one every city block. From the grandeur of the Brandenburger Tor to the elegant simplicity of the “Stolpersteine” Berlin’s rich history is always on display. 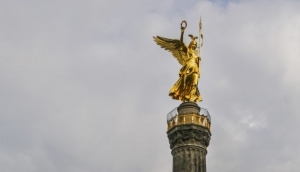 Berlin’s monuments illustrate the historical and cultural diversity of Berlin and its people. Monuments, cemeteries, statues, temples, war memorials, memorials to the victims of the holocaust, and landmarks are located throughout the city. The best thing is that the vast majority of Berlin’s historical monuments are free to enter.